Thursday 29th January 2009 · The Brewery, London, U.K.
Each year, the iGaming affiliate community gets together to name the best and brightest stars among them at the annual CAP Awards celebration. 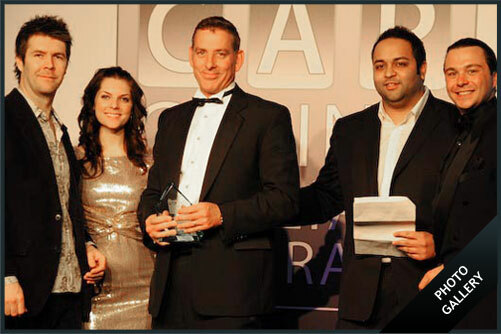 Hosted by CasinoAffiliatePrograms.com (the world's largest and most highly trafficked online gaming affiliate directory), the CAP Awards are held on the first day of CAP Euro London, the industry's biggest annual conference. Different from other industry awards programs, the CAP Awards give affiliate marketing community members the power to choose who is crowned the winner in each of 23 categories. The latest edition of the CAP Awards were held on Thursday, January 29 at London's The Brewery (www.thebrewery.co.uk), winner of Event Magazine's Best Venue 2008 award. CAP wants to thank all the participants and voters for making this year's ceremony the best yet. We're already planning for next year!